Los Angeles-based Hyperloop Technologies is now Hyperloop One and $80 million richer from a close of its Series B round of financing today. The news comes just days after rival hyperloop builder Hyperloop Transportation Technologies (HTT) announced a licensing deal to power its own prototype with magnetic levitation technology. Both Hyperloop One (formerly Hyperloop Technologies) and HTT are based in L.A. and both are working on models of Elon Musk’s Hyperloop – a vacuum tube-based transportation technology promising to shoot riders from San Francisco to the City of Angels in 30 minutes or less. The moniker was too much like its rival hyperloop builder and the change comes just in time for a propulsion open-air test (POAT) Hyperloop One will be conducting in North Las Vegas tomorrow. The new cash is from existing investors Sherpa Ventures, 8VC, ZhenFund, Caspian Venture Partners and a few new investors, including 137 Ventures, Khosla Ventures, Fast Digital, Tekton Ventures, Partech Ventures, Western Technology Investment (WTI), SNCF, the French National Rail Company (interestingly) and GE Ventures, which has invested heavily in building high speed rail in various parts of the world such as Europe and China. The total now raised is at $100 million. –SAN FRANCISCO, April 20, 2016 – Bugcrowd, Inc., the pioneer and innovator in crowdsourced security for the enterprise, today announced it has closed $15 million in a Series B funding round led by Blackbird Ventures. Existing investors Rally Ventures, Costanoa Venture Capital, Tekton Ventures, Partech Ventures and Paladin Capital Group participated in the round, and were joined by new investors Industry Ventures and Salesforce Ventures. The company’s flagship product, Crowdcontrol™, is used by leading brands including Fitbit, Motorola, Tesla, TripAdvisor, Western Union, as well as a broad range of top-tier private clients. Using Crowdcontrol, Bugcrowd customers proactively uncover and resolve security bugs in their products — all powered by a curated, vetted community of more than 27,000 security researchers, the largest of its kind in the world. Bugcrowd customers include Fortune 500 companies across e-commerce, financial services, automotive, healthcare and more. Bugcrowd has raised a total of $24 million and has led the surge in global market demand for trusted bug bounty programs. 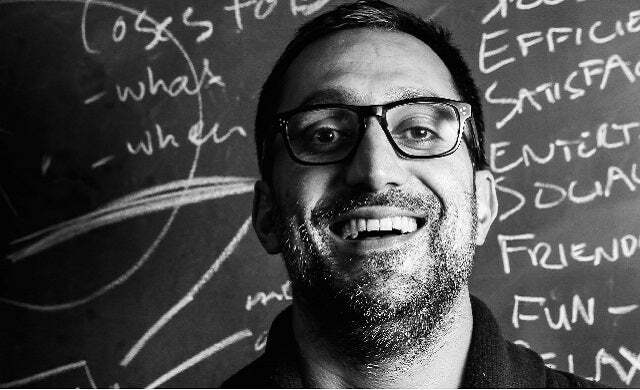 From beginnings in the Startmate accelerator in Sydney, Australia, Bugcrowd has experienced over 200 percent bookings growth year-over-year, with 10 consecutive quarters of revenue growth. The additional funds will be used to accelerate customer and crowd growth, pursue strategic partnerships and accelerate engineering and R&D efforts. 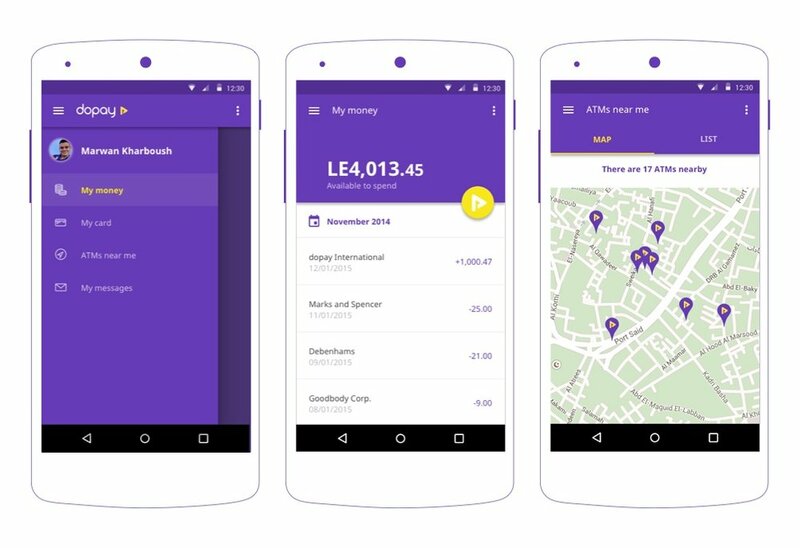 London, January 29, 2016 – dopay, the company which uses payroll to reach the largest untapped sector in retail banking, has secured US$2.4 million in pre-series A funding in a round led by Techstars Ventures and Force Over Mass Capital. The funds will further the launch of the company’s services in Egypt and help drive expansion into new markets in the Middle East and Africa. Currently, two billion people worldwide have jobs but no bank account. This means they are cut off from even the most basic financial services. Companies that employ these people feel this acutely; they have to manage large amounts of cash, which is costly and inconvenient. Bidvine is an online platform that connects customers looking for jobs to be completed with professionals who have the skills, qualifications and availability to complete them. From the professional’s perspective, Bidvine’s online process is more efficient and costeffective than traditional ways of finding and quoting for work. From the consumer’s perspective, we’re an easy way to find and hire the best person for the job. Whilst we were looking to getting professionals for jobs like finding a language tutor for our children or looking for someone to renovate our bathroom, we were spending too much time on the searching rather then focusing on the important things in life. This is why Bidvine came to life. It removes all the legwork of finding a provider that is interested, qualified and available to carry out consumers’ projects. BrightFunnel announced today that it has raised $6 million in Series A funding. In other words, marketing was traditionally the first step in the process, and then potential customers were handed over to the sales team. Nowadays, marketing continues throughout — in fact, BrightFunnel has found that 47 percent of marketing “touches” occur during the sales cycle. “The way you might optimize a route using Google Maps, we can help you optimize the path to revenue,” he added. Investors have poured $4 million of new venture funding into Petnet Inc., a company that makes “smart feeders” for dogs and cats that weigh up to 50 pounds. 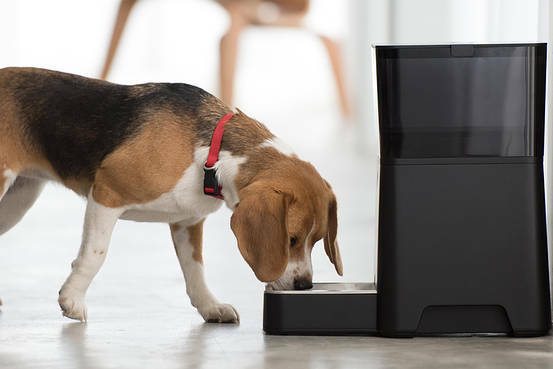 Petnet’s smart feeders can be controlled remotely through the company’s mobile iOS app, and help pet owners manage feeding times and portion sizes, according to the company’s website. The sensor-laden feeders also help users to find a nutritionally optimal pet food and have it delivered to their doorstep directly from the manufacturers, bypassing a trip to the pet store and markups seen at brick-and-mortar retailers. Silicon Valley investment company Altos Ventures recently announced its US $3.0M investment in Trillionaire. Trillionaire runs a Korean cosmetic ecommerce service called HuiSeoul, which focuses on providing Korean beauty products exclusively to the Chinese market. The journey for HuiSeoul started in a single store in Myung Dong (Seoul) back in November 2014. The company reacted quickly to an identified market in China for Korean cosmetic and beauty products. 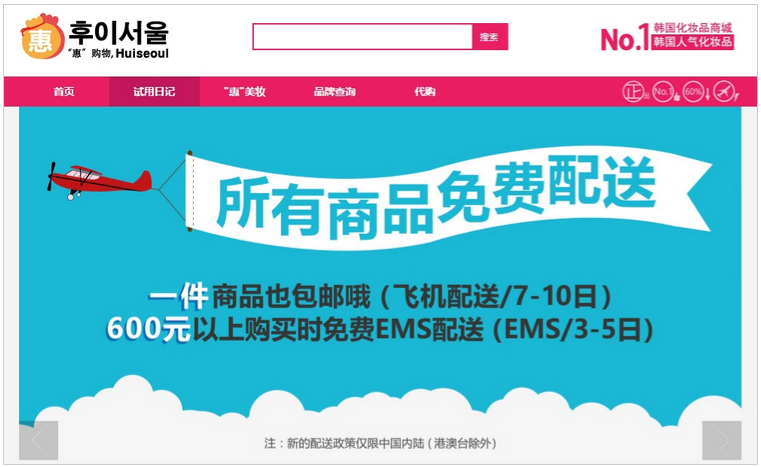 In February 2015, HuiSeoul began, and started to sell reasonably priced Korean cosmetics to China. The company places the highest priority in being a trustworthy service. Its differentiating factor is an online forum where beauty consultants provide advice to potential customers. As a Harvard undergraduate student, Bom Kim signed off on most emails with a self-translated quote from his entrepreneurial hero, SoftBank leader Masayoshi Son. “All I had was a dream and confidence for which I had no basis,” wrote Kim, who like Son had visions of creating an enduring, respected business. Almost 20 years later, Kim is well on his way to emulating his idol and it is Son who is helping him achieve that goal. On Wednesday, Kim’s Coupang, South Korea’s fastest growing e-commerce company, announced that it is set to raise $1 billion from SoftBank. Priceline Group Inc. on Friday unveiled plans to acquire hotel-data company PriceMatch, the latest deal for the acquisitive online booking company. Priceline said it would integrate PriceMatch into BookingSuite, which is a recently launched division of its Booking.com business. “With the addition of PriceMatch, BookingSuite partners will be able to access a powerful set of business intelligence tools to help them optimize performance through a platform that’s easy to use and manage,” said BookingSuite Director Rob Ransom. PriceMatch’s cloud-based platform delivers real-time data to hotels through tailored algorithms that account for factors like a hotel’s reservation history, competitors’ prices and seasonality. According to PriceMatch, its clients have on average seen a 7% increase in RevPAR—or revenue per available room—which is a key metric for the hotel industry. Children’s shoe brand Plae has announced that it has received additional financial backing, closing on $7 million in Series A funding led by Paris-based Partech Ventures with participation from Tekton Ventures, Floodgate, Western Technology Investment and others. According to the San Francisco-based footwear company, the cash brings its total capital raised to $10.8 million, allowing the young brand to expand its global operations and fund growth, as well as invest in new product categories and cross-channel technologies. Cotopaxi, an e-commerce startup that also emphasizes making the world a better place, has raised $6.5 million in Series A funding. While many startup founders want you to believe that they’re idealists in pursuit of a big mission, co-founder and CEO Davis Smith told me (via email) that Cotopaxi is helping humanitarian causes in concrete ways — not just because the products are created in sweatshop-free factories, and not just because the company promises to donate a portion of its profits. SAN FRANCISCO, March 11, 2015 /PRNewswire/ — MEMEBOX, the fastest growing beauty e-commerce player in the world, today announced that it has raised $29.35 million in funding from Formation 8, Goodwater Capital, Tekton Ventures, AME Cloud Ventures, Pejman Mar Ventures, Y Combinator, Winklevoss Capital, FundersClub, Cowboy Ventures, and Altos Ventures, among others. MEMEBOX will use the funding to significantly expand its mobile and e-commerce offerings to China, the U.S., and Korea. Launched in 2012 and incubated by Y Combinator, MEMEBOX is a mobile company pioneering the category of “beauty e-commerce” in both Asia and the U.S. Leveraging the global influence of Korean beauty culture, the company is already the world’s largest online Korean beauty store with more than 1,000 brands available on its site and is quickly becoming one of the world’s most distinctive beauty platforms. In addition to introducing its own data-driven, private-label cosmetics brand in 2014, MEMEBOX launched new iOS and Android mobile apps for the Korean, Chinese and U.S. markets, reinforcing the company’s soaring growth. Since 2012, MEMEBOX has experienced over 400 percent growth, year over year, with nearly one million app downloads. Man Crates, a Redwood City-based platform for gifts for men, raised $3.1m seed funding round. Backers included Rothenberg Ventures, Sovereign’s Capital, Eric Chen’s OVO Fund, Sam Yagan’s Corazon Capital, Tekton Ventures, Pete Koomen (Optimizely), Mac Harman (Balsam Brands) and the Founders of ApartmentList (John Kobs, Chris Herndon and Chris Erickson). The company intends to use the funds to expand its product offerings and diversify its portfolio in the coming year. Led by Founder and CEO Jon Beekman, Man Crates is an e-commerce company that delivers gifts for men. They pack gadgets, gear, and grub into wooden crates, and ship every crate with a crowbar. It currently employs over thirty people and aims to double staff by year’s end hiring across all functions with special emphasis on marketing, technology, creative and product development. Drafting off of Facebook’s $2 billion purchase of virtual reality company Oculus VR Inc. and validating a new generation of fresh virtual reality projects, Houston-based startup Virtuix Inc. closed $3 million from venture investors for its multi-directional treadmill. The company makes a 360-degree disk-like treadmill called the Omni that is used in conjunction with virtual reality goggles to make gaming and other applications totally immersive. Players wear special shoes and a belt and strap into the machine, which translates movements into keystrokes that players would otherwise use to control their characters in games.